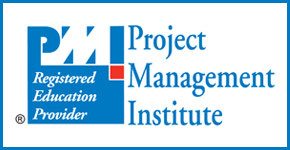 PMP® is a widely recognized, leading project management credential that is awarded by Project Management Institute, USA. The PMP® exam tests the knowledge and application of the knowledge of the best practices in project management. The PMP® exam is currently aligned to the PMBOK® Guide, Sixth Edition. Persons who have acquired the PMP® credential show that they have the requisite skills, knowledge and competence to lead cross-functional teams and deliver projects successfully. Should have completed a Four-year degree Bachelor's degree or global equivalent. Have minimum three years / 36 months experience in project management within the past eight years during which at least 4,500 hours should have been spent leading and directing project tasks. If working on overlapping projects then the time cannot be counted more than once. Note: Leading and directing project tasks as identified in the Project Management Professional Examination Specification. You should have experience in all five process groups across all your project management experience submitted on the application. However on a single project, you do not need to have experience in all five process groups. The Computer Based test must be taken at a Prometric test center. Out of these 200 questions, 25 questions will not be scored. A Guide to the Project Management Body of Knowledge (PMBOK® Guide) 6th Edition issued by PMI® which is the accepted global standard for project management is the basic reference material for the PMP® examination. The PMP® examination is a 4 hour examination that has 1 Paper comprising of 200 multiple choice questions out of which 175 questions are scored. Each question has 4 options and candidates have to select 1 option. The 25 questions that are not scored are not known to the candidate. They are placed randomly in the exam and are pretest questions kept to test their validity for use in future exams. The examination is normally a Computer Based Test (CBT) that is held at a Prometric centre. List of center can be seen at www.prometric.com/pmi . The exam is preceded by a 10 – 15 minute tutorial and a survey. The time for the tutorial and the survey is not included in the 4 hours allotted to complete the exam. No breaks are scheduled during the exam. Candidates are allowed to take a break but the break time taken is included in the 4 hours.